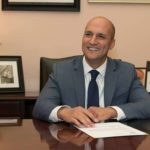 The campaign of Joe Schiavoni For Governor campaign released a new ad Monday depicting Joe boxing at his hometown gym. The ad is a visual nod to Joe’s career, successfully fighting for working families and always willing to go an extra round to get the job done. a press release said. As an attorney for injured workers, Joe took his passion for workers’ rights with him to the Statehouse, the release said. He led the Senate Democrats’ opposition to SB 5, the governor’s anti-labor bill, it said. Joe then took the SB 5 fight to local communities to help build the citizen movement that overturned the law. Joe has also successfully fought for several major charter school reforms, and he is leading the charge to hold for-profit charters, like ECOT, accountable, the release said. Joe’s motto has always been, “work first. Fight when you have to.” And that’s how he operates as senator, the release said. Joe has successfully negotiated across the aisle on issues that shouldn’t be political, it said. His bill to expand reliable internet access throughout the state reportedly has Republican joint sponsors in both the House and Senate. Those interested can learn more about Joe’s campaign for Ohio governor at JoeForJobs.com.